GrizzlyGaming: The things I don't hear much about in the gaming world. The things I don't hear much about in the gaming world. Next gen console is what everyone is talking about. There's a huge debate around whether the new devices will live up to the expectations or of gamers or not and other more controversial matters. Which is completely normal considering recent reveals and the upcoming E3. The buzz is on and the stakes are high for next gen consoles. There is a lot of speculation going on about a bunch of different subjects and as I read on, I can only tell you one thing: Gamers, we're getting old. Don't get me wrong. 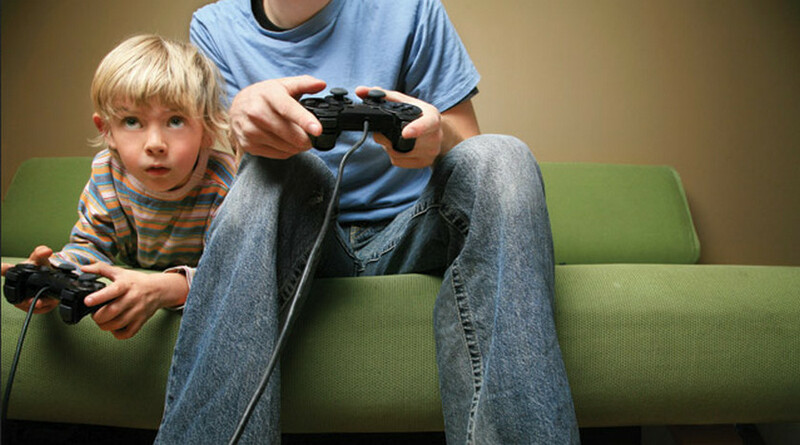 Everybody ages and if I recall correctly, many of us were kids or preteens when we started gaming. We adopted our games at a time when graphic capabilities limited not just the visualization of our games, but also, the explicitness of violence and by it, elements such as ratings hardly ever undermined the games we played. It just looked freaking fake. Gaming experience relied more on offering entertaining experiences than violently dragging you into a world by resembling your own. Different times, different methods. But what I hardly ever read about nowadays is how the new kids are adapting and shaping this environment. It seems that now, the console isn't the first thing they come in touch with. It's their parents' smartphones and tablets loaded with top rated game apps. Those set the pace for future game consumption. Different times and also different distribution channels. Meanwhile, the new consoles seem to be designed for the older gamers. The gamers who now have graduated from college, have a job or even their own children (lucky little bastards, you...). No wonder why it seems so pointless for non-gaming parents to purchase so many devices. Expensive devices. Handheld gaming has been smarter to get a grip on the newly spawned. Whether it was deliberate or not, they are becoming a success among the younger crowd. The devices are already there, in the hands of their parents. It only takes a tantrum at the wrong place and the wrong time for their folks to swing a device at them as a sign of truce. Angry Birds' merchandise success is standing proof of the reign of mobile gaming in Toddlerville. Kids are already selecting their games differently. The new rules for gaming are being set and it's up to the big and small developers to begin setting out adaptation methods for it. It's all a matter of being a child again, which we gamers do quite often, and look at the industry with innocent eyes for a moment. Just put down your FPS, take a deep breath. Embrace the need for more than just games about guns and swords and think about today's gaming children. Because, whether we decide to live in our perpetual state of childhood or not, we need to think about such things to get the big picture of what's happening in the game industry.